Manage client trademark portfolios including, assisting with selection and clearance of marks, and registration of marks. Advising clients on strategies for defending and enforcing their trademarks and copyrights and representing clients in such efforts. Advise start-up and growth companies on investment strategies, IP protection strategies, and other matters relevant to an emerging company. Represent companies in the development of their brand strategies, including registration, protection, licensing and enforcement of their marks. Assist large manufacturing companies in the negotiation of development and licensing agreements for their manufacturing software systems. Represent consumer and business-to-business based brand companies in all business matters. Assist large industrial clients in development of copyright and trademark policies. Assist clients in development of proactive cyber-security policies and breach response plans and investigation and management of cyber incidents. India's practice is devoted to helping clients identify, protect and generate maximum value from their intellectual property and helping clients develop and implement policies and procedures to protect their data and respond to cyber incidents. India chairs the firm’s Intellectual Property and Cybersecurity Practice Group, and actively participates in the firm’s Corporate Transactions Group as well as the Blockchain, Cryptocurrency and Electronic Transactions focus team. 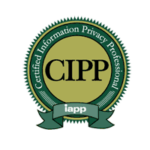 She earned her CIPP/US certification to become a Certified Privacy Professional. India’s areas of practice include cybersecurity, data privacy, GDPR, technology, corporate transactions, block chain and intellectual property. 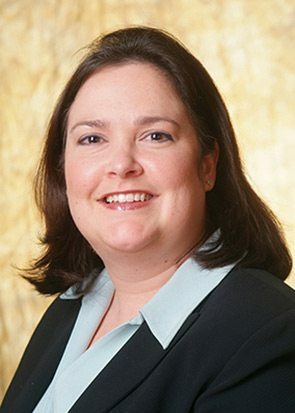 She assists her clients in creating, developing, growing, managing and selling their businesses with a specific focus on maximizing the value of their data and other intellectual property assets, by assisting with licensing strategies, data protection efforts, due diligence research and secure implementation of new technologies. As part of those efforts, India works with clients to determine appropriate strategies for clearing, protecting, licensing and enforcing intellectual property, including trademarks, service marks, patents, trade secrets, and copyrights, and advises clients regarding contractual relationships with customers and vendors. India also assists clients with identifying their valuable data and other proprietary information and developing customized, situationally appropriate security and data protection policies and breach response plans. She works with clients to determine appropriate value add applications for technologies such as blockchain and electronic signatures. When the worst happens, India helps clients work through the process of responding to a cyber incident, securing electronic and physical systems, assessing the impact of the incident and developing remediation plans to thwart future attacks. India works with clients in all industries, including the software, technology, biotechnology, entertainment, health care, hospitality, aerospace and manufacturing industries.